The Alappuzha Backwaters in Kerala is a divine experience as the scenic beauty of nature makes it a must-visit during monsoon. 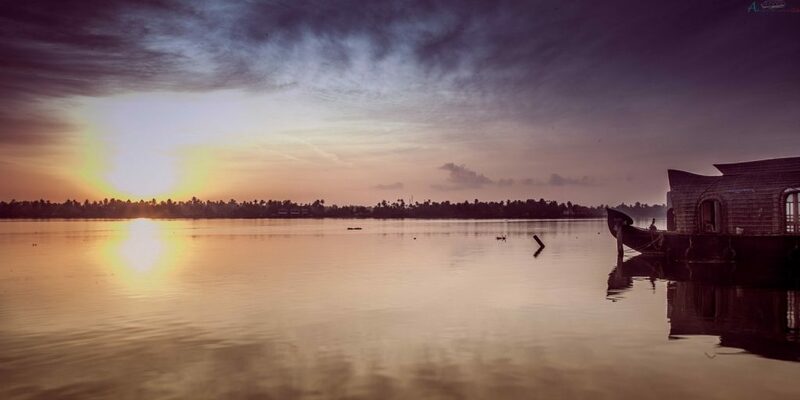 As you drive into the picturesque city of Alleppey complete with canals, backwaters, beaches and lagoons, there is a certain energy and a ‘feeling of being one with nature’ that comes to you. Alleppey backwaters is one of the alluring backwaters of Kerala and also famed as one of the vibrant tourist spot and best backwaters in Kerala. The charisma of large network of inland canals makes it apt with the sobriquet “Venice of the East” and offers Alleppey its lifeline. Situated at a distance of 62 km south of Kochi, Alappuzha Backwaters is a popular tourist destination during the monsoon season. The backwaters of Aleppey connects Kumarakom and Kochi in the north and is the main centre for the Nehru Trophy Boat Race where you find 50 people seated in the boat rowing hard to win the race. Alleppey was once a renowned port along the Malabar Coast and one of the happening centers of trade. 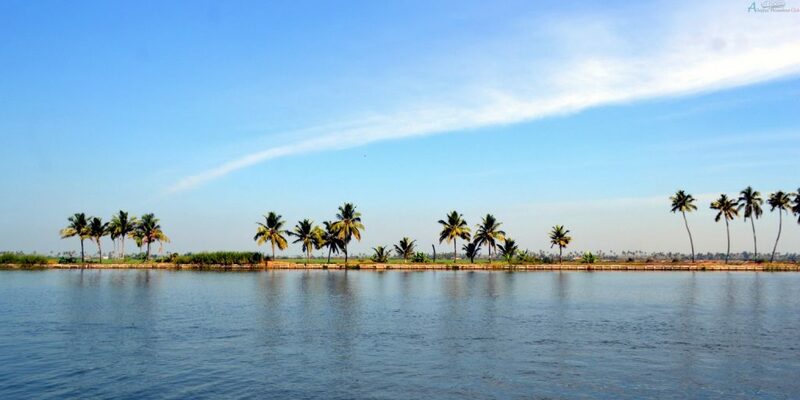 Even today it retains its charm as one of the must visit Alleppey Backwater Village Tour and till recent times it is the hub for Coir industries, handicrafts and seafood farming. Alleppey the ideal nerve center for Kerala backwaters tourism as well as for journey to the exquisite church filled town of Kottayam, famed as Akshara Nagari literally means knowledge town of Kerala and to the land of Aaranmula famous for its historic Snake Boat Race event annually taken place.Alleppey Backwaters is the main place and famous for its most powerful race of boats in the month of August. 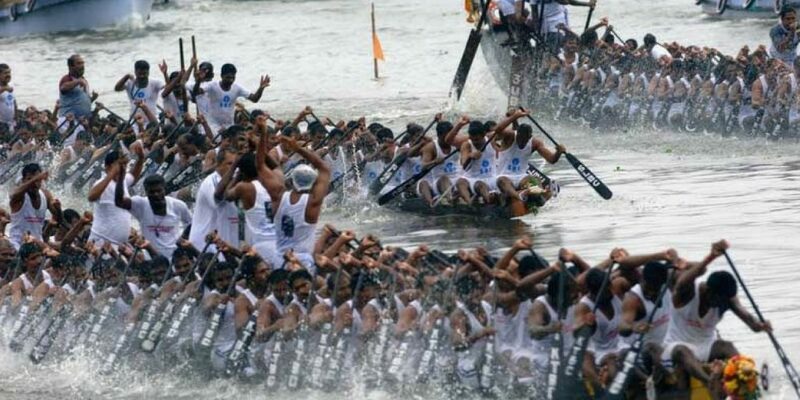 Alleppey is also known worldwide for its spectacular snake – boat races that take place on the rhythmic Kerala backwaters usually held during the month of August, every year. This boat race competition also known as the Nehru boat race named after India’s first Prime Minister Jawaharlal Nehru, who itself inaugurated the boat race in 1952. It is a fun filled entertainment and excitement all around as snake – boats, each manned by over a hundred oarsmen targeting the finishing point. It is an incredible success with the presence of tourists and the local population alike. 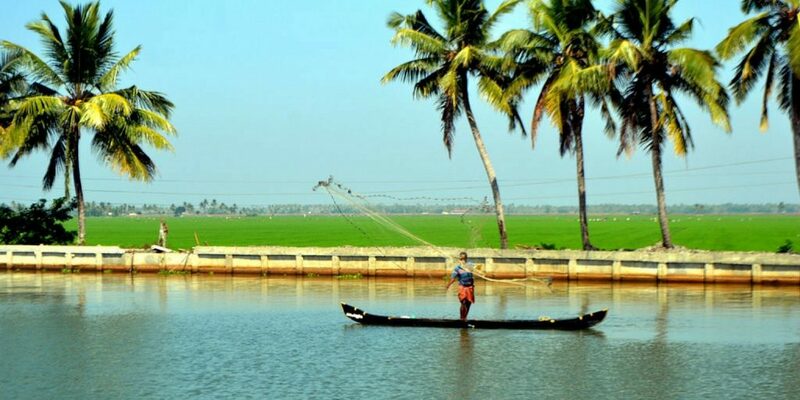 The boat cruise along the backwaters in Kerala especially cruise along Alleppey give one actual experience of the village life style; toddy tapping, fishing, coir-making, prawn farming etc., which linger more or less natural over the years. But the most important thing that strikes you about the backwaters here is the serene, calm environ with the monsoon water slowly coming down on the lake. There are many resorts situated on the backwaters of Alleppey and Kumarakom in Kerala but the Lake Palace Resort situated on the banks of the Vembanadu lake is worth visiting for its food and luxurious cottages. Houseboat booking is open on all days, book your houseboat and experience the backwater cruise. Each cottage is just 5 steps away from the lake and as raindrops come falling, you find just a boat or two with fishermen dressed in their umbrella caps trying to spread their nets far as possible. Alleppey which form the main part of backwaters Kerala network has the peculiar geographical feature of having the water in level with the land. 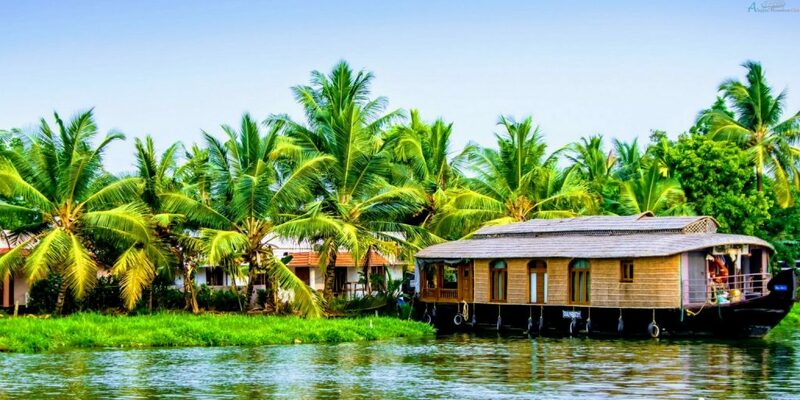 Kerala backwaters tour is centered on with typical houseboat cruises along the blue lagoons and coconut groves of Alleppey and nearby regions. Alleppey Boat ride charges will change according to the seasons and festival times. 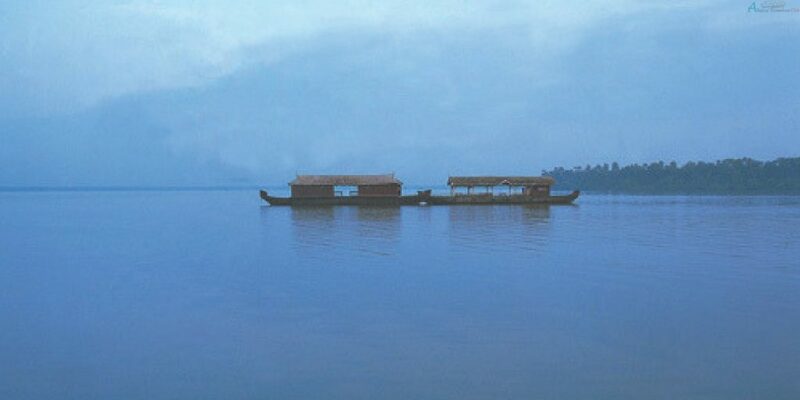 A sail in a houseboat through the enchanting backwaters of Alleppey will grab the hearts of travelers. Cruise along the narrow canals rich with coconut grooves and experience the panoramic view of paddy fields and the precise tiny hamlets lined up along either side of the canals. 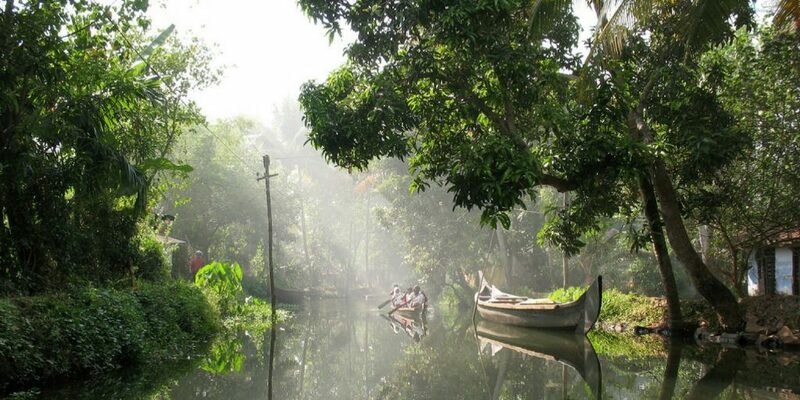 Alleppey Backwater Boating gives many visuals that never get forget. The Chinese fishing nets, the reminiscent of old port, flocks of ducks swimming around the banks, toddy shops, small canoes are some enduring pictures that make this unique land more charming. It is quite a contrasting view of life as you find fishermen on one hand trying to find their daily bread hunting for fish in the monsoon rains and on the other hand you have the high flying tourists enjoying a walk under the almond trees by the lake or indulging in a lavish brunch early morning. Another important sight and pleasure hobby here is fishing. Just anybody is happy waiting for a fish to get onto the hook as they wait eagerly on the banks of the lake. Houseboats or boat houses locally known as Kettuvallom, is a country crafted boats that were used for the transportation of goods from the isolated villages to the towns during the olden days. Now these boats are serving as floating villas with all modern amenities to the tourists who prefer Kerala backwaters cruise and houseboat tourism is one of the most demanding factors in Kerala backwaters tourism. Catching fish is like an all time favorite here and one should not miss the Karimeen Fry. It is made spicy and tasty in Kerala style. Just be careful if you don’t know how to eat fish with the bones. Other worth sampling delicacies could be Elai Ara, (idli sandwich filled with cardamom, saffron and dry fruits), Puttu, and the Kerala fish curry. Apart from house boats, Alleppey backwaters are rich in hotels and resorts which offer fabulous stay offering lake view rooms, sea food delicacies, Ayurvedic treatments etc. Hotels and resorts at Alleppey region is said to be exotic among Kerala backwaters hotels and an apt destination for honeymooners. 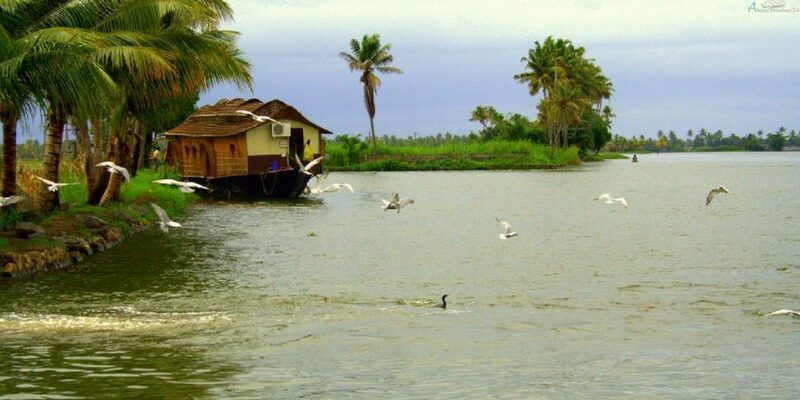 Alappuzha Backwaters day tour is one of the must do thing if you don’t want to stay one night.You can find the experiences in the blog section or please go through Alleppey Houseboat Experience of our guests. If you really like chasing the monsoon season, then backwaters in Kerala is the place to be. The people are definitely polite and helpful and the ‘date’ with monsoon season lives up its best as you see water, clouds, fog and the lake merge together.